Marriage*: She married Lenox Brewer Dye. Other Names*: Sudie Martin, Sudie Camilla Martin Dye, Sudie Martin Dye, Sudie Camilla Dye, Sudie Dye. [S1295] ObitsForLife.com, online at http://obitsforlife.com, obituary of Mrs. Margaret Dye Fortson at http://tinyurl.com/k6dbu8k, viewed on 27 Jan 2014 (naming Sudie Martin as her mother). [S27] John Wright Boyd, A Family History: Lt. Thomas Fortson (1742-1824) and Some of His Descendants—Early Settler of Elbert County, Georgia (Danielsville, Ga.: Heritage Papers, 1973), p. 745 (naming Weymon Johnson Fortson as his father). [S961] Find A Grave, online at http://www.findagrave.com, memorial for Dr. Kenneth Fortson, memorial no. 32800970, viewed on 27 Jan 2014 (naming Weymon Fortson as his father). [S27] John Wright Boyd, A Family History: Lt. Thomas Fortson, etc., above, p. 745 (naming Margaret Dye as his mother). [S961] Find A Grave, online, above, memorial for Dr. Kenneth Fortson, memorial no. 32800970, viewed on 27 Jan 2014 (naming Margaret Dye as his mother). [S27] John Wright Boyd, A Family History: Lt. Thomas Fortson, etc., above, p. 745. [S961] Find A Grave, online, above, memorial for Dr. Kenneth Fortson, memorial no. 32800970, viewed on 27 Jan 2014. Other Names*: Elizabeth McGavock, Bessie McGavock. [S35] Gene Carlton Clopton, The Ancestors and Descendants of William Clopton of York County, Virginia (Atlanta, Ga.: Phoenix Printing, Inc., 1984), p. 135 (giving the date but not the place). [S961] Find A Grave, online at http://www.findagrave.com, memorial for Bessie McGavock, memorial no. 121334580, viewed on 26 Jan 2014. [S27] John Wright Boyd, A Family History: Lt. Thomas Fortson (1742-1824) and Some of His Descendants—Early Settler of Elbert County, Georgia (Danielsville, Ga.: Heritage Papers, 1973), p. 756. [S961] Find A Grave, online at http://www.findagrave.com, memorial for Dr. James C. Fortson, memorial no. 32870677, viewed on 29 Jan 2014 (giving the date but not the place). [S961] Find A Grave, online, above, memorial for Dr. James C. Fortson, memorial no. 32870677, viewed on 29 Jan 2014. Other Names*: Carolyn Ledford, Carolyn Ruth Ledford Fortson, Carolyn Ledford Fortson, Carolyn Ruth Fortson, Carolyn Fortson. Note*: • She had a B.S. in education from Middle Tennessee State College and taught in elementary school while her husband was a graduate student. [S961] Find A Grave, online at http://www.findagrave.com, memorial for Carolyn Ledford Fortson, memorial no. 124094241, viewed on 29 Jan 2014. [S27] John Wright Boyd, A Family History: Lt. Thomas Fortson, etc., above, p. 756 (first bullet). [S27] John Wright Boyd, A Family History: Lt. Thomas Fortson, etc., above, p. 756 (second bullet) (stating that she was born in Lewisburg, Tennessee). [S961] Find A Grave, online, above, memorial for Carolyn Ledford Fortson, memorial no. 124094241, viewed on 29 Jan 2014 (second bullet) (stating that she was born in Mooresville, Tennessee). • His Find A Grave memorial, which includes his picture and a picture of his home in Glendale, California, is here. [S961] Find A Grave, online at http://www.findagrave.com, memorial for Frank Horn Vesper, memorial no. 47551800, viewed on 30 Jan 2014. [S961] Find A Grave, online, above, memorial for Eva Glenora Quick Vesper, memorial no. 47551799, viewed on 30 Jan 2014. [S1418] Los Angeles Times, Los Angeles, Calif., online at http://www.newspapers.com, 1 Jan 1939, p. 12, col. 3 (obituary of Mrs. Eva Vesper) (naming Frank H. Vesper as her husband). [S961] Find A Grave, online, above, memorial for Orma E. Vesper Naudain, memorial no. 47542652, viewed on 30 Jan 2014 (naming Frank Horn Vesper as her father). Other Names*: Eva Quick, Eva Glenora Quick Vesper, Eva Glenora Vesper, Eva Quick Vesper, Eva Vesper. [S961] Find A Grave, online at http://www.findagrave.com, memorial for Eva Glenora Quick Vesper, memorial no. 47551799, viewed on 30 Jan 2014. [S961] Find A Grave, online, above, memorial for Frank Horn Vesper, memorial no. 47551800, viewed on 30 Jan 2014. [S1418] Los Angeles Times, Los Angeles, Calif., above, 1 Jan 1939, p. 12, col. 3 (giving the date but not the place). [S1418] Los Angeles Times, Los Angeles, Calif., above, 1 Jan 1939, p. 12, col. 3 (obituary of Mrs. Eva Vesper) (naming Mrs. Eva Vesper as her mother). Other Names*: Bertha Mae Blount Martin, Bertha Blount, Bertha Mae Martin, Bertha Blount Martin, Bertha Martin. [S961] Find A Grave, online at http://www.findagrave.com, memorial for Mrs. Bertha Mae Blount Martin, memorial no. 38670848, viewed on 30 Jan 2014. "Another one of the great men of Montana and Madison County, Colonel James Edmund Callaway, about eight o'clock Monday morning, August 21, 1905, answered the last summons and passed peacefully to the great beyond. Death came without any warning and was due to heart failure. He had been in poor health for a few days with stomach trouble. He arose at the usual hour, Monday morning, and ate a light breakfast and while at the table discussed some legal matters that he was going to attend to during the forenoon. He arose from the table, took a few steps, and fell over on the couch. Dr. Bradley was immediately summoned, but was powerless to restore the heart action. Soon the news of Colonel Callaway's death spread over the city and all expressed regrets. "Colonel James Edmund Callaway was born July 7, 1834 in Trigg County Kentucky, and was therefore a little over 71 years of age. 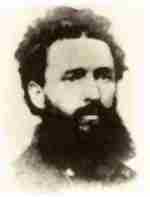 His father, Samuel T. Callaway, also a native of that state, was an active physician until his health broke down. He then became a clergyman of the Christian Church and, in 1848, moved to Illinois, where he continued in the ministry until his death. Col. Callaway was educated in the public schools of Kentucky Illinois, and under that eminent jurist he continued his reading until admitted to the practice of law. After a short residence in Jacksonville he located in Tuscola. "In 1861 the attack on Fort Sumter led him to offer his services in defense of the Union. A public meeting was held in his town, Tuscola, Ill., on April 17, 1861, and within an hour a company was organized and young Mr. Callaway was chosen captain and within two hours later was on the way to the state capital to tender its services to the government. The company was mustered into state service by U. S. Grant, May 9, 1861, and into the United States service in June 1861, as Company D, Twenty-first Illinois Volunteers. "During the progress of the Civil War Captain Callaway's service was noted for its bravery and courageous conduct. By his efficient service and the careful and painstaking manner in which he handled his soldiers he was promoted to Colonel. "At the [Battle of Chickamauga], [Major] Callaway had command of the Eighty-first Indiana in addition to his own regiment. The record of the Eighty-first Indiana was so excellent [under his] command that it received special mention from headquarters and the [men] of the regiment later presented him with a beautifully mounted sword, which has hung in his dining room at home for many years. After the Battle of [Stones] River General Rosecrans organized a light brigade in each division from officers and men distinguished for bravery and soldierly qualities. Their names were placed on the "roll of honor." Colonel Callaway's name was on the roll, and he was made commander of one of these brigades. Of the 300 regiments of the Union Army officially mentioned as having rendered distinguished services, his regiment, the Twenty-first Illinois, holds first rank on the "roll of honor." "At the close of the war he resigned with a colonel's commission and was honorably discharged. The government, in recognition of arduous duties rendered and disabilities incurred in the line of duty, placed his name on its pension roll. "Col. Callaway returned to Illinois and resumed the practice of law, served in the state legislature and won prestige at the bar until 1871, when President Grant appointed him secretary of the territory of Montana. In this important office he served six years with credit to himself, benefit to the territory and the satisfaction of the people. He was a member of the constitutional convention of 1884 and also that of 1880 which formulated the state constitution. He was a member of the territorial legislature of 1885 and was the first republican speaker of a Montana house of representatives. In 1878 during a vacancy he was appointed by Judge Blake United States district attorney for the First judicial district and served in this capacity 1878-79. Col. Callaway located in Virginia City in 1871 and successfully engaged in the practice of law until 1898, when his health failed to such an extent that he relinquished the practice until within the past three years. In politics he was always a stalwart republican and an active and able advocate of the principles of that party. He was a member of Virginia City [Masonic] Lodge No. 1, and was a past master of that lodge. He was a member of Frank Blair Post No. 6, G. A. R., and its post commander at the time of his death. He was also a past department commander of the state organization. On January 16, 1866, Col. Callaway married Miss Mary E. Link, a native of Illinois, and a daughter of a pioneer of that state. To bless this union four children were born, Judge Lew L., Ethel, who died when 6 years of age, Edmund J., and George R. The three sons and the widow survive to mourn the sudden taking away a loving husband and an indulgent father. "Col. James E. Callaway lived at a time which tried men's character. His career as a soldier is one to be proud of. He rendered gallant and brave service in the preservation of the Union. As a citizen of Montana he was a prominent figure in the early history of the state. He was a lawyer of unusual ability and an honor to the profession. He was an ardent partisan but he was frank and honorable in his party life and he numbered many warm friends in the democratic party. He was actively identified with the welfare of this city which was his home. As a private citizen he took an interest in the schools and in fact everything pertaining to the betterment of the community. His home life was happy; he was pleasant and congenial; and he was fortunate in his family as he leaves behind him sons that will keep the family name one to be honored. "The funeral was held Tuesday afternoon from the auditorium and was conducted by Virginia City [Masonic] Lodge No. 1. It was very largely attended by the Masons and a large number of friends of the deceased. The casket was draped in the stars and stripes and on it was laid the sword presented to him by [the] regiment. The floral emblems were many and beautiful. "The pall bearers, all past masters of the Masonic fraternity, were Chief Justice Theodore Brantly of Helena, H. D. Rossiter of Sheridan, Robert Vickers, J. M. Knight, N. D. Johnson and M. M. Duncan, of Virginia City. "Appropriate music during the services was furnished by a choir composed of Mesdames Thomas Duncan, Dean W. Vickers, Miss Alma Trenerry and Messrs. J. H. Powell, C. W. Sherwood and M. B. Davis with Miss May Lowman presiding at the piano. "At the conclusion of the services at the grave three volleys were fired over it by a firing squad composed of veterans of the Spanish-American War under command of Lieut. E. J. Gaioan, and taps were sounded by Bugler A. E. Cole. "The funeral was held a day earlier than was at first planned on account of the condition of Mrs. Callaway. The shock occasioned by the sudden death of her husband brought on a serious attack of heart trouble from which she has been a sufferer for a number of years. It was the advice of her physician that the funeral be held Tuesday." • His Find A Grave memorial, which includes his picture and pictures of his grave marker, is here. [S961] Find A Grave, online at http://www.findagrave.com, memorial for James Edmund Callaway, memorial no. 40976723, viewed on 1 Feb 2014. [S961] Find A Grave, online, above, memorial for Mary Elizabeth Link Callaway, memorial no. 40977398, viewed on 1 Feb 2014. [S961] Find A Grave, online, above, memorial for Mary Ethelwyn Callaway, memorial no. 40982780, viewed on 1 Feb 2014 (naming James Edmund Callaway as her father). [S961] Find A Grave, online, above, memorial for James Edmund Callaway, memorial no. 40976723, viewed on 1 Feb 2014 (naming James Edmund Callaway as her father). Other Names*: Mary Link, Mary Elizabeth Link Callaway, Mary Link Callaway, Mary Elizabeth Callaway, Mary Callaway. [S961] Find A Grave, online at http://www.findagrave.com, memorial for Mary Elizabeth Link Callaway, memorial no. 40977398, viewed on 1 Feb 2014. [S961] Find A Grave, online, above, memorial for James Edmund Callaway, memorial no. 40976723, viewed on 1 Feb 2014. [S961] Find A Grave, online, above, memorial for Mary Ethelwyn Callaway, memorial no. 40982780, viewed on 1 Feb 2014 (naming Mary Elizabeth Link as her mother). [S961] Find A Grave, online, above, memorial for Mary Elizabeth Link Callaway, memorial no. 40977398, viewed on 1 Feb 2014 (naming Mary Elizabeth Link as her mother). Other Names*: Mary Callaway, Ethel Callaway. [S961] Find A Grave, online at http://www.findagrave.com, memorial for Mary Ethelwyn Callaway, memorial no. 40982780, viewed on 1 Feb 2014 (naming James Edmund Callaway as her father). [S961] Find A Grave, online, above, memorial for Mary Ethelwyn Callaway, memorial no. 40982780, viewed on 1 Feb 2014. [S961] Find A Grave, online at http://www.findagrave.com, memorial for Dr. George Callaway, memorial no. 97624301, viewed on 1 Feb 2014 (naming Mary Hamilton Means as his mother). [S961] Find A Grave, online, above, memorial for Mary Hamilton Means Callaway, memorial no. 96313508, viewed on 1 Feb 2014 (naming Mary Hamilton Means as his mother). [S961] Find A Grave, online, above, memorial for Dr. George Callaway, memorial no. 97624301, viewed on 1 Feb 2014 (naming Samuel Taylor Callaway as his father). [S961] Find A Grave, online, above, memorial for Samuel Taylor Callaway, memorial no. 96313432, viewed on 1 Feb 2014 (naming Samuel Taylor Callaway as his father). [S961] Find A Grave, online, above, memorial for Dr. George Callaway, memorial no. 97624301, viewed on 1 Feb 2014. [S961] Find A Grave, online, above, memorial for Emma C. Wyeth Callaway, memorial no. 97624432, viewed on 1 Feb 2014. [S961] Find A Grave, online at http://www.findagrave.com, memorial for Emma C. Wyeth Callaway, memorial no. 97624432, viewed on 1 Feb 2014. Other Names*: Susannah Rickard Blessing, Susannah Blessing. Note*: When she was born, Mason County was part of Virginia, as the state of West Virginia was not formed until 1863. By the time she died, in 1907, the part of Virginia in which Mason County was located had become West Virginia. [S1296] MyHeritage.com, online at http://www.myheritage.com, profile for Susannah Blessing (born Rickard), part of Cloutier-Maese Tree Web Site (naming Mary P. Rouch as her mother). [S1296] MyHeritage.com, online at http://www.myheritage.com, profile for Susannah Blessing (born Rickard), part of Cloutier-Maese Tree Web Site (naming Michael Rickard, Sr. as her father). [S1296] MyHeritage.com, online at http://www.myheritage.com, profile for Susannah Blessing (born Rickard), part of Cloutier-Maese Tree Web Site (stating that she was born in Letart, Mason County, West Virginia). [S1296] MyHeritage.com, online at http://www.myheritage.com, profile for George Lazarus Blessing, part of Cloutier-Maese Tree Web Site. [S1296] MyHeritage.com, online at http://www.myheritage.com, profile for Susannah Blessing (born Rickard), part of Cloutier-Maese Tree Web Site. [S1296] MyHeritage.com, online at http://www.myheritage.com, profile for William Burden Blessing, part of Cloutier-Maese Tree Web Site (naming Susannah Rickard as his mother). Note*: When he was born, Mason County was part of Virginia, as the state of West Virginia was not formed until 1863. By the time he died, in 1864, the part of Virginia in which Mason County was located had become West Virginia. [S1296] MyHeritage.com, online at http://www.myheritage.com, profile for George Lazarus Blessing, part of Cloutier-Maese Tree Web Site (stating that he was born in Letart, Mason County, West Virginia). [S1296] MyHeritage.com, online at http://www.myheritage.com, profile for William Burden Blessing, part of Cloutier-Maese Tree Web Site (naming George Lazarus Blessing as his father). [S1296] MyHeritage.com, online at http://www.myheritage.com, profile for William Burden Blessing, part of Cloutier-Maese Tree Web Site. [S1296] MyHeritage.com, online at http://www.myheritage.com, profile for Julia Josephine Blessing (born Maupin), part of Cloutier-Maese Tree Web Site. [S1296] MyHeritage.com, online at http://www.myheritage.com, profile for Mary Alice Wallace (born Blessing), part of Cloutier-Maese Tree Web Site (naming William Burden Blessing as her father). Other Names*: Julia Maupin, Julia Josephine Maupin Blessing, Julia Josephine Blessing, Julia Maupin Blessing, Julia Blessing. [S1296] MyHeritage.com, online at http://www.myheritage.com, profile for Mary Alice Wallace (born Blessing), part of Cloutier-Maese Tree Web Site (naming Julia Josephine Maupin as her mother). Other Names*: Mary Blessing, Mary Alice Blessing Wallace, Mary Blessing Wallace, Mary Alice Wallace, Mary Wallace. [S1296] MyHeritage.com, online at http://www.myheritage.com, profile for Mary Alice Wallace (born Blessing), part of Cloutier-Maese Tree Web Site. [S1296] MyHeritage.com, online at http://www.myheritage.com, profile for Alvin M. Wallace, part of Cloutier-Maese Tree Web Site. [S1296] MyHeritage.com, online at http://www.myheritage.com, profile for Oscar Bernard Wallace, part of Cloutier-Maese Tree Web Site (naming Mary Alice Blessing as his mother). [S1296] MyHeritage.com, online at http://www.myheritage.com, profile for Oscar Bernard Wallace, part of Cloutier-Maese Tree Web Site (naming Alvin M. Wallace as his father). [S1296] MyHeritage.com, online at http://www.myheritage.com, profile for Oscar Bernard Wallace, part of Cloutier-Maese Tree Web Site. [S1296] MyHeritage.com, online at http://www.myheritage.com, profile for Hazel Alberta Wallace (born Downing), part of Cloutier-Maese Tree Web Site. [S1296] MyHeritage.com, online at http://www.myheritage.com, profile for Margaret Jane Morgenthaler (born Wallace), part of Cloutier-Maese Tree Web Site (naming Oscar Bernard Wallace as her father). [S1296] MyHeritage.com, online at http://www.myheritage.com, profile for Margaret Jane Morgenthaler (born Wallace), part of Cloutier-Maese Tree Web Site (naming Hazel Alberta Downing as her mother). Other Names*: Margaret Wallace, Margaret Jane Wallace Morgenthaler, Margaret Jane Morgenthaler, Margaret Wallace Morgenthaler, Margaret Morgenthaler. • Her Find A Grave memorial, which includes her picture and her obituary, is here. [S1296] MyHeritage.com, online at http://www.myheritage.com, profile for Margaret Jane Morgenthaler (born Wallace), part of Cloutier-Maese Tree Web Site. [S1296] MyHeritage.com, online at http://www.myheritage.com, profile for Donald Harley Morgenthaler, part of Cloutier-Maese Tree Web Site. [S961] Find A Grave, online at http://www.findagrave.com, memorial for Margaret Jane Morgenthaler, memorial no. 53425374, viewed on 13 Feb 2014. • The web site for the historic Morton Cemetery is here. [S961] Find A Grave, online at http://www.findagrave.com, memorial for Robert Brooks Allen, memorial no. 73235926, viewed on 24 Feb 2014. [S961] Find A Grave, online, above, memorial for Neva Louise Allen-Whitten, memorial no. 62520392, viewed on 24 Feb 2014. • Col. Whitten's Find A Grave memorial is here. [S961] Find A Grave, online at http://www.findagrave.com, memorial for Marion Eugene Whitten, memorial no. 1319328, viewed on 24 Feb 2014. Alice Charlene Cochran Styron, courtesy of DonZas. Other Names*: Alice Cochran, Alice Charlene Cochran Styron, Alice Charlene Styron, Alice Cochran Styron. [S976] The Dallas Morning News, Dallas, Tex., online at http://www.dallasnews.com, 14 Jun 2005 (obituary for Alice Charlene Cochran Styron), viewed on 26 Feb 2014. [S961] Find A Grave, online at http://www.findagrave.com, memorial for Alice Charlene Cochran Styron, memorial no. 11169701, viewed on 26 Feb 2014. Brig. Gen. Nicholas Bartlett Pearce. • Barbara Jane Calvert's web site features Nicholas Bartlett Pearce's descendants and ancestors. • Nicholas Bartlett Pearce's biography in the online Encyclopedia of Arkansas History and Culture is here. [S28] James Alonzo Matthews, Jr. and Lucille Pearce, comps., Pearce, Bartlett, Matthews, Smart, and Allied Families (Austin, Tex. : Eakin Publications, Inc., 1983), p. 23 (naming Allen Pearce as his father). [S28] James Alonzo Matthews, Jr. et al., Pearce [etc.] and Allied Families, above, p. 23 (naming "Mary Morris (Morse)" as his mother). [S1099] Wikipedia Online Encyclopedia http://en.wikipedia.org/wiki/Main_Page, s.v. "Nicholas Bartlett Pearce," viewed on 14 Mar 2014. [S961] Find A Grave, online at http://www.findagrave.com, memorial for Gen. Nicholas Bartlett 'Nota Bone' Pearce, memorial no. 99886207, viewed on 14 Mar 2014. [S28] James Alonzo Matthews, Jr. et al., Pearce [etc.] and Allied Families, above, p. 23. [S1099] Wikipedia Online Encyclopedia, above, s.v. "Nicholas Bartlett Pearce," viewed on 14 Mar 2014 (stating that he died on 8 Mar 1894 at the home of his daughter-in-law in Dallas, Texas). [S961] Find A Grave, online, above, memorial for Gen. Nicholas Bartlett 'Nota Bone' Pearce, memorial no. 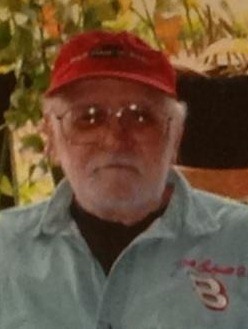 99886207, viewed on 14 Mar 2014 (giving the date but stating that he died in Whitesboro, Texas). [S1099] Wikipedia Online Encyclopedia, above, s.v. "Nicholas Bartlett Pearce," viewed on 14 Mar 2014 (naming the city but not the cemetery). [S1099] Wikipedia Online Encyclopedia, above, s.v. "Nicholas Bartlett Pearce," viewed on 14 Mar 2014 (stating that he was "commonly known" as N. Bart Pearce). [S28] James Alonzo Matthews, Jr. et al., Pearce [etc.] and Allied Families, above, p. 23 (stating that he was born on 20 Jun 1828 in Caldwell County, Kentucky). Birth*: She was born on 25 February 1837 in Cleveland, Bradley County, Tennessee. Death*: She died on 3 October 1885 in Whitesboro, Grayson County, Texas, at age 48. Other Names*: Nancy Kathrine Smith, Nancy Kathrine Smith Pearce, Nancy Smith, Nancy Smith Pearce, Nannie Smith Pearce, Nannie Pearce. [S28] James Alonzo Matthews, Jr. and Lucille Pearce, comps., Pearce, Bartlett, Matthews, Smart, and Allied Families (Austin, Tex. : Eakin Publications, Inc., 1983), p. 23. [S28] James Alonzo Matthews, Jr. and Lucille Pearce, comps., Pearce, Bartlett, Matthews, Smart, and Allied Families (Austin, Tex. : Eakin Publications, Inc., 1983), pp. 22-23 (naming Celia Bartlett as his mother). [S28] James Alonzo Matthews, Jr. et al., Pearce [etc.] and Allied Families, above, p. 23 (stating that he was born "in 1798 or 1800"). [S28] James Alonzo Matthews, Jr. et al., Pearce [etc.] and Allied Families, above, p. 23 (naming Allen Pearce as his father). [S28] James Alonzo Matthews, Jr. et al., Pearce [etc.] and Allied Families, above, p. 23 (stating that her name was Mary Morris or Mary Morse). 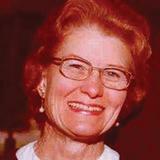 Obituary Abstract*: "Roberta Jane Eyberg passed away peacefully on Sunday, March 9, 2014 in Houston at the age of 94. "She was born Jan. 10, 1920 in Corsicana to Walter Beaton and Roberta Whitaker Beaton and grew up among a loving family, including her sister, Katherine, and many aunts, uncles and cousins. Roberta spent many of her early years on the family farm before moving into town. She attended Texas Women’s College in Denton before embarking on a secretarial career with an energy company in Tulsa, Okla. It was in a Tulsa church youth group that she met her husband of almost 65 years, Quentin, from Duluth, Minn. Together they lived across the globe and made life-long friends along the way — in Tulsa, Antwerp, Belgium, Le Havre, France, Kansas, Canada, Pennsylvania, Maryland, Connecticut, New York, New Jersey, Southern California and the Washington D.C. area. Roberta and Quentin chose to spend their retirement years in Woodcreek, Wimberley, Texas where they enjoyed traveling, golf, bridge, new friends and the hill country pace. She often awed us with her uncanny ability to accurately recite the dates and addresses of the 48 moves she and Quentin had made. They continued to travel to interesting places like Prince Edward Island, the Panama Canal, New Zealand and Duluth, Minn.
"Roberta was a beautiful and gracious Southern lady with bright blue eyes, and a sweet smile that made an impression on everyone. Roberta was a loving and dedicated wife, mother and homemaker, honing her skills as a wonderful cook and seamstress. She loved a good game of bridge, baking family meals, intimate social gatherings and being with her children, grandchildren and great-grandchildren. "She is preceded in death by her husband, Quentin . . . .
[S585] Corsicana Daily Sun, Corsicana, Tex., online at http://www.corsicanadailysun.com 14 Mar 2014 (obituary of Roberta Jane Beaton Eyberg), viewed on 17 Mar 2014 (naming Roberta Whitaker as her mother). 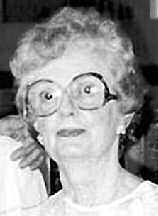 [S585] Corsicana Daily Sun, Corsicana, Tex., online at http://www.corsicanadailysun.com 14 Mar 2014 (obituary of Roberta Jane Beaton Eyberg), viewed on 17 Mar 2014 (naming Walter Beaton as her father). [S585] Corsicana Daily Sun, Corsicana, Tex., online at http://www.corsicanadailysun.com 14 Mar 2014 (obituary of Roberta Jane Beaton Eyberg), viewed on 17 Mar 2014. [S585] Corsicana Daily Sun, Corsicana, Tex., online at http://www.corsicanadailysun.com 14 Mar 2014, viewed on 17 Mar 2014. [S151] Annie Carpenter Love, History of Navarro County (Dallas, Tex. : Southwest Press, 1933), p. 275 ("Pioneer Families"). [S961] Find A Grave, online at http://www.findagrave.com, memorial for Haskell Arthell Fortson, memorial no. 126638746, viewed on 30 Mar 2014. [S961] Find A Grave, online, above, memorial for Haskell Arthell Fortson, memorial no. 126638746, viewed on 30 Mar 2014 (not giving the date). Other Names*: Laurence Fortson, Lawrence Ogilvie Fortson, Lawrence Fortson. • “FORTSON PURCHASES PRICHARD MOTOR CO.
“Local Agency for Ford to Continue Under New Ownership and Management. “L. O. Fortson, former Ford dealer of Washington, Ga., has purchased the James H. Prichard Motor company as a going concern and is continuing the business with the same sales and service organization, with the addition of new men. . . .
“Mr. Fortson is one of the most successful Ford and Fordson dealers in north Georgia. He is said to have sold more than 100 tractors last year. “He states that his business policy is ‘personal supervision.’ He will be active in the management of the business, keeping close supervision of both the sales and service departments. [S27] John Wright Boyd, A Family History: Lt. Thomas Fortson (1742-1824) and Some of His Descendants—Early Settler of Elbert County, Georgia (Danielsville, Ga.: Heritage Papers, 1973), p. 458 (spelling his name as Lawrence and naming Thomas Edward Fortson as his father). 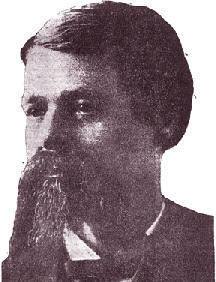 [S27] John Wright Boyd, A Family History: Lt. Thomas Fortson, etc., above, p. 458 (spelling his name as Lawrence and naming Sarah Richardson Toombs as his mother). [S27] John Wright Boyd, A Family History: Lt. Thomas Fortson, etc., above, pp. 458 (giving the date but not the place), 471. [S961] Find A Grave, online at http://www.findagrave.com, memorial for Laurence Ogilvie Fortson, memorial no. 45370870, viewed on 11 Apr 2014 (giving the date but not the place). [S27] John Wright Boyd, A Family History: Lt. Thomas Fortson, etc., above, p. 471 (not giving the date or place). [S1301] The Macon Daily Telegraph, Macon, Ga., 6 Aug 1911, sec. 1, p. 3, col. 4. [S27] John Wright Boyd, A Family History: Lt. Thomas Fortson, etc., above, p. 471. [S961] Find A Grave, online, above, memorial for Laurence Ogilvie Fortson, memorial no. 45370870, viewed on 11 Apr 2014. [S1301] The Macon Daily Telegraph, Macon, Ga., 6 Aug 1911, sec. 1, p. 3, col. 4 (first bullet). [S1398] The Atlanta Constitution, Atlanta, Ga., online at http://www.newspapers.com, 22 Jan 1922, p. 5, col. 1 (second bullet). Other Names*: Marie Fitzpatrick Fortson, Marie Fortson. [S27] John Wright Boyd, A Family History: Lt. Thomas Fortson (1742-1824) and Some of His Descendants—Early Settler of Elbert County, Georgia (Danielsville, Ga.: Heritage Papers, 1973), p. 471. [S961] Find A Grave, online at http://www.findagrave.com, memorial for Marie Fitzpatrick Fortson, memorial no. 45370871, viewed on 11 Apr 2014 (giving the year but no other information). [S961] Find A Grave, online, above, memorial for Marie Fitzpatrick Fortson, memorial no. 45370871, viewed on 11 Apr 2014. Other Names*: Edith Stokes Fortson, Edith Fortson. [S961] Find A Grave, online at http://www.findagrave.com, memorial for Edith Stokes Fortson, memorial no. 45370868, viewed on 11 Apr 2014. Other Names*: King Kelly Starr Fortson. [S961] Find A Grave, online at http://www.findagrave.com, memorial for King Kelly Starr Fortson, memorial no. 120110564, viewed on 11 Apr 2014 (giving the date but not the place). [S961] Find A Grave, online, above, memorial for King Kelly Starr Fortson, memorial no. 120110564, viewed on 11 Apr 2014. Other Names*: Margaret Gibson Clopton, Margaret Clopton. • Her Find A Grave memorial, which includes pictures of her tomb, is here. [S961] Find A Grave, online at http://www.findagrave.com, memorial for Mrs. Margaret Gibson Clopton, memorial no. 39907744, viewed on 12 Apr 2014 (naming Dr. William Fulton Gibson as her father). [S961] Find A Grave, online, above, memorial for Dr. William Fulton Gibson, memorial no. 30544725, viewed on 12 Apr 2014 (naming Dr. William Fulton Gibson as her father). [S961] Find A Grave, online, above, memorial for Mrs. Margaret Gibson Clopton, memorial no. 39907744, viewed on 12 Apr 2014 (naming Margarett Jane Holshousen as her mother). [S961] Find A Grave, online, above, memorial for Margarett Jane Holshousen Gibson, memorial no. 22084213, viewed on 12 Apr 2014 (naming Margarett Jane Holshousen as her mother). [S961] Find A Grave, online, above, memorial for Samuel H. Clopton, memorial no. 39928268, viewed on 12 Apr 2014. [S961] Find A Grave, online at http://www.findagrave.com, memorial for Dr. William Fulton Gibson, memorial no. 30544725, viewed on 12 Apr 2014. [S961] Find A Grave, online, above, memorial for Margarett Jane Holshousen Gibson, memorial no. 22084213, viewed on 12 Apr 2014. [S961] Find A Grave, online, above, memorial for Mrs. Margaret Gibson Clopton, memorial no. 39907744, viewed on 12 Apr 2014 (naming Dr. William Fulton Gibson as her father). Other Names*: Margarett Holshousen, Margarett Jane Holshousen Gibson, Margarett Jane Gibson, Margarett Holshousen Gibson, Margarett Gibson. [S961] Find A Grave, online at http://www.findagrave.com, memorial for Margarett Jane Holshousen Gibson, memorial no. 22084213, viewed on 12 Apr 2014. [S961] Find A Grave, online, above, memorial for Dr. William Fulton Gibson, memorial no. 30544725, viewed on 12 Apr 2014. [S961] Find A Grave, online at http://www.findagrave.com, memorial for Rubye R. Clayton, memorial no. 7150668, viewed on 13 Apr 2014.